We were looking for a Padparadscha Sapphire for our engagement and couldn't locate one in Seattle so we flew down to LA for the day to look at Jupiter's(excellent and wonderful) selection. The logistics were seamless: lovely professionalism and courtesy plus easy communication and flexibility in scheduling the appointment. What sets this experience apart though is our experience with Krishna. His kindness, frank honesty about all aspects of our stone, purchase and his deeply personal attention to making sure we got the stone of our dreams will forever be a part of our love story. He devoted most of the day to us, we shared stories, at times in tears. Every time we speak of our time in LA together it is of one of the most beautiful experiences we could have imagined. And the stone. Oh the stone. In the end, patiently showing us stone after stone, answering our millions of questions, we purchased the most beautiful Padparadscha on the face of the planet. This rare 4ct cushion cut sapphire is simply exquisite. Krishna kept the stone to make into the ring we designed. He sent us CAD drawings back and forth until it was exactly as we desired(a halo of tiny pave diamonds extending down the split shank) and unbelievably it was shipped to us a mere week later. It's on my finger as I write this and I will love this stunning ring, and the deep part of our love story it is, for the rest of my life. which it was handled right through. Just received my Alexanderite. A very good stone, together with a speedy and efficient service from Elvira. Would definitely purchase from Jupiter Gems again. Last week we received the Padparadscha sapphire ring from JupiterGem and both me and my wife could not be happier. The craftsmanship and quality of the piece is truly a work of art, every minute detail is perfectly executed. Pictures don't do justice to how beautiful this ring is! All our thanks go to the team at JupiterGem who made this long process happen (over a month), especially Elvira who guided me step-by-step in this complicated journey from choosing the right stone, designing the mounting and making sure all my specifications were met. Elvira is one of the most patient, nice and attentive people I have met in this industry! She always responded to all my emails and inquiries very promptly, send me pictures and small videos of all stones I was interested in so that I can properly judge of their clarity. She also made sure I was aware if any of them had blemishes, inclusions, etc. This level of honesty is especially important when you make an expensive purchase over the internet and you want to feel well attended to and all your concerns answered! Living in NY, I have a plethora of jewelers to choose from but after dealing with a few and not being impressed at all, I finally decided to buy across the country from JupiterGem. I felt the distance was not going to hamper my decision because JupiterGem is very professional with their clients. Once again thanks for this beautiful ring! Highly recommended! I made my choice and it is definitely an Emerald. 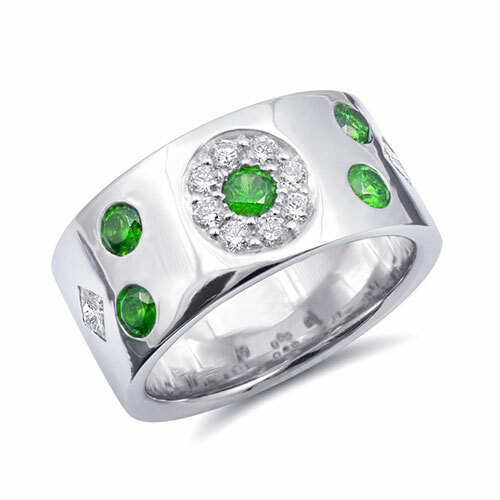 It has a beautiful green color that makes every lady to look like Cleopatra. Jupitergem clearly knows what stone is the best and how to make a lady happy. I highly recommend the company for everyone. 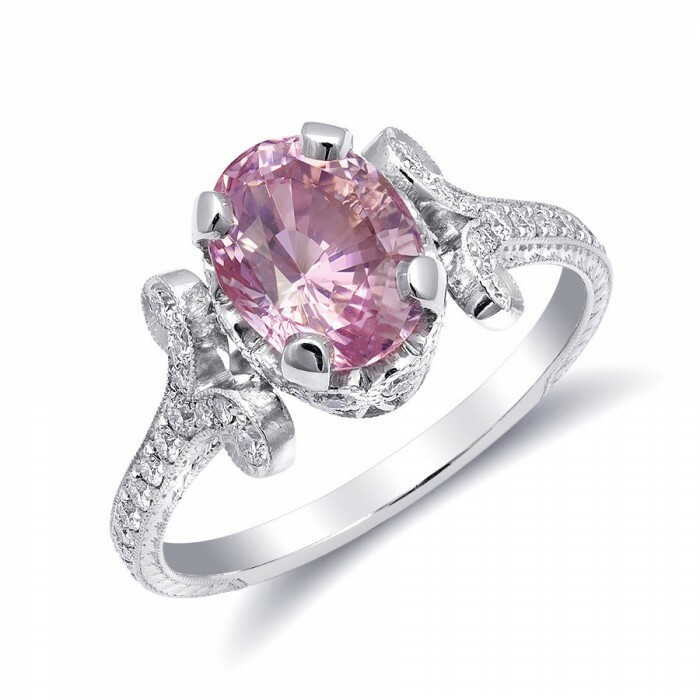 I have just recently purchased Alexandrite Engagement Ring last week and I am amazed how awesome it is. It has a great look, very sharp one. I love how the stone changes the color. Great product. I certainly recommend JupiterGem, amazing company with an excellent product choice. Jupitergem is a great company. I love their products. Blue Sapphire Ring that I have recently purchased for my wife is great. It looks very impressive. Thank you very, Elvira, for your patience and help. Appreciated. I would like to say "thank you" Jupitergem. I am a very happy customer. I love your products, they are very charming. 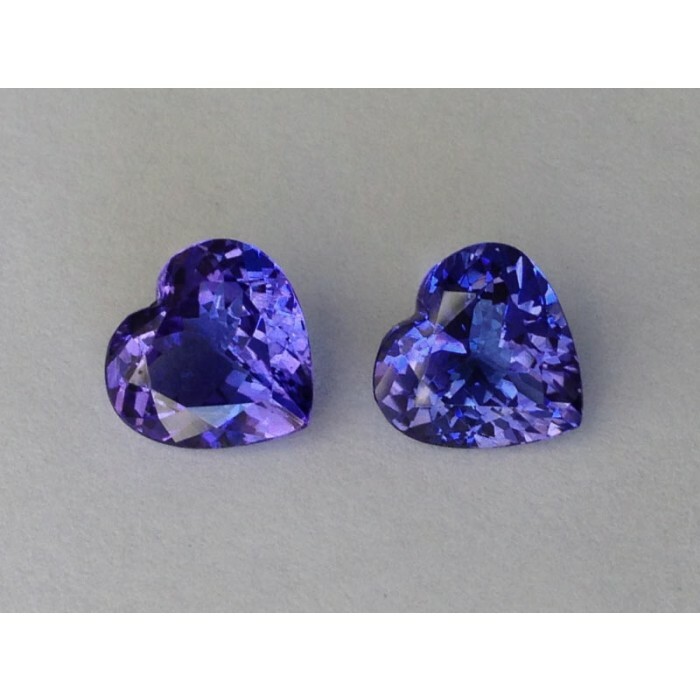 The Alexandrite stone that I have recently purchased is very beautiful. I like it a lot. Very grateful for your work. I have browsed the website trying to see opportunities where to order the ring of my dreams. The website is full of great products, however I wanted to create my ring that represents my ideas and desires. Elvira explained me that I have a choice to customize products choosing the stone and later making jewelry according to my taste. I ended up ordering beautiful paraiba tourmaline ring. I made my dream true, I was able to create my custom design ring. I am very excited because I finally received it and it looks stunning! I am very happy with my ring. Thank you so much!